Hello guys! Since it's snow time here, I need to get photos from my files and these falls are perfect for Watery Wednesday. This pictures was taken at my beloved country Philippines. 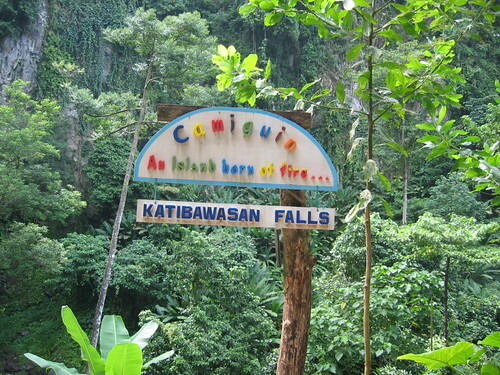 Katibawasan Falls is one of the wonderful waterfalls located five kilometers southeast of Mambajao at the foot of Mt. Timpoong in the island of Camiguin, Philippines. The name Katibawasan is an Illonggo dialect which means "overcome" in English. This awesome falls measures about 250 feet which cascades to a rock pool surrounded by ground orchids, wild ferns, trees and boulders. Ice cold water provides an ideal summer splash to bathers and picnickers. 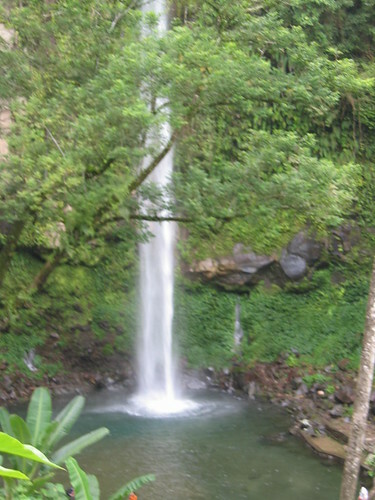 The falls tumble down into a green pool, ideal for a refreshing swim. Giant ferns decorate the surrounding land, carpeting for space with huge trees and dropping vines. Rock picnic tables, seats and cookout facilities are available for use. 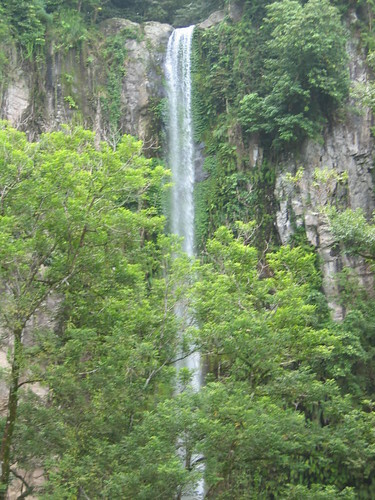 Considered as one of the treasured gifts nature has bestowed Camiguin, the falls is maintained by the province and visitors are expected to pay a minimal entrance fee. It is one of my lifelong dreams - to see a real waterfalls. I hope to see this place. Are you from Camiguin? My entry for Watery Wednesday is posted here. Happy mid-week! What beautiful waterfalls. Thanks for sharing. Beautiful photos, and I enjoyed the narrative. Thank you. That is a pretty waterfall. Nice pictures. Lovely falls, and who wouldn't yearn for those while in the midst of a Canadian winter!! These are beautiful! I can only imagine the sound as it plunges into the pool at the bottom. What a lovely waterfall! And all the greenery surrounding it! I also wonder what it sounds like, falling from that height into the rocky pool! Thanks for the tour. That's one tall skinny waterfall! What a lovely falls! Wonderful!